Last week’s issue of the New England Journal of Medicine featured an article authored by a physician at San Quentin Prison, a maximum-security correctional facility just 30 minutes north of San Francisco. 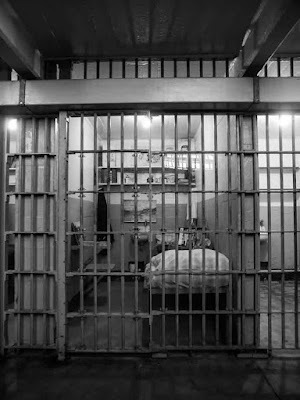 In the piece, Dr. Vanjani describes the profound impact of incarceration on the health of prisoners, specifically related to discrimination, loss of social support, and lack of control over basic daily activities. This issue is particularly acute for those who not only live in prison, but who also have serious medical illness and will likely die in prison. As Dr. Brie Williams and others have described, the prison population is aging quickly and the prison healthcare system (just like the rest of the US healthcare system) is struggling to manage the challenges that come with caring for the elderly1. The challenge is even more daunting in this setting because of the unique structural and social settings of prison. For instance, community-dwelling elders don’t have to worry about climbing onto the top bunk bed without a ladder (or falling down from it), hearing and following orders of a custody officer, or navigating the complex dynamics of the social hierarchy that dominates prison life. Additionally, prisoners have functional and cognitive impairment at a younger age than their non-incarcerated counterparts, so much so that the research definition of an “older prisoner” is either 50 or 55 years and above, depending on the source2. Not only is caring for aging inmates logistically difficult, it is unbelievably expensive due to the increased healthcare costs for this particular population. Some figures estimate the cost per older prisoner in California at nearly $2 million per year3 (!). By comparison, the costs of caring for an older, seriously ill person in a skilled nursing facility is on the order of $75,000 annually. 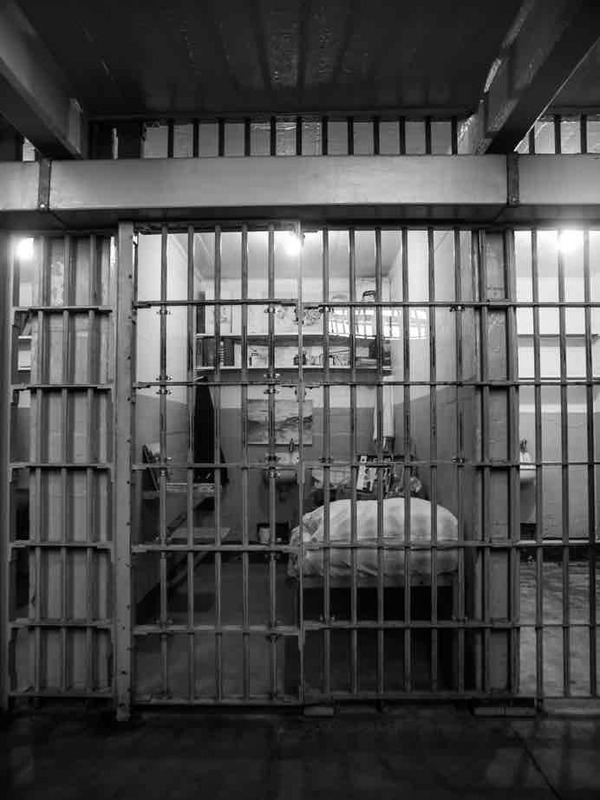 There are currently two mechanisms in place to try to ease both the financial and ethical challenges of caring for the aging and seriously ill prison population, though both are far from sufficient in their current implementation. The first is a program known as compassionate release, through which prisoners can be freed before the end of their sentence if they have a terminal illness and are deemed to no longer be a threat to society. Forty-five states have compassionate release programs and no official program statistics are available, but anecdotally a very small minority of applicants are approved and released before they die. The second is the existence of prison hospice facilities, which are available in a minority of states. Prisoners in these facilities receive care similar to that available in other residential or home hospice programs and can also await a decision on their compassionate release applications in this setting. While there are not official numbers on cost savings for prison hospice patients, much of the exorbitant price tag for health care for the elderly and seriously ill is due to contract medical care provided outside the prison walls5, which is presumably no longer needed or wanted once an inmate chooses hospice. I had the opportunity several months ago to spend time at California’s only prison hospice facility at the California Medical Facility (CMF) state prison in Vacaville, just outside of Sacramento. What struck me the most upon entering CMF was how similar the patients seemed to those I worked with daily at a major academic university hospital and how quickly I forgot that I was in a correctional facility at all. Mr. S was tall and thin in his hospital gown and pajama pants with short salt and pepper hair and big, brown, gentle eyes. His metastatic pancreatic cancer was made apparent to others by his profound jaundice. He broke into a radiant smile of perfect teeth as he introduced me to his wife, grandson and two corgis in the photos he had pinned to the white walls in his dorm style room. He was a veteran and addressed me alternately as ma’am and “doc,” telling me about his symptoms and worries just as any other hospice patient would have. His nurse stepped in to change his fentanyl patch and he smiled and thanked her. One of the pastoral care workers, inmates who are selected to provide assistance and companionship to the hospice patients and sit vigil (A whole other really interesting subject) while they are actively dying, poked his head in to say he’d be back with lunch in a little bit. Mr. S had applied for compassionate release with the hope of seeing his grandson and his dogs before he dies, “and my wife, I guess,” he said winking. Since arriving at CMF, his family has never been able to visit him. They live in Southern California and would have to drive over eight hours each way and between gas and a hotel in Vacaville have not been able to afford the trip. This story is a common one in California and other states. Palliative care and geriatrics services are not widely available in the U.S. prison system. Only ten states currently offer any prison hospice programs, and most have limited capacities. As is the case for Mr. S, many families are not able to travel from hundreds of miles away to visit their loved ones in their last days of life. When hospice is not available, inmates often die in their cells without adequate treatment of their symptoms. This is not only suboptimal care, but also can be traumatic for other inmates who are present for the death and the time leading up to it. This suffering is largely invisible to free society, as prisoners are deliberately sequestered away from the rest of humanity. This, however, does not mean they are any less human or immune to the challenges that all seriously ill people face. Nor should it preclude prisoners from the basic human dignity of spending their last days of life free of pain and suffering as any of us would want for ourselves or our loved ones regardless of previous actions. Incarceration is a necessary for some and prisoners will inevitably grow old and sick behind bars. However, it is incumbent upon society to continually evaluate whether our current system of imprisonment is ethically and financially justifiable. The end of life is a time when justice demands we place human dignity first through enhanced hospice resources and compassionate release, not additional taxpayer funded suffering. Williams BA, Goodwin JS, Baillargeon J, Ahalt C, Walter LC. Addressing the aging crisis in U.S. criminal justice healthcare. J Am Geriatr Soc. 2012 60(6)1150-6. Loeb SJ, Abudagga A. Health-related research on older inmates: An integrative review. Res Nurs Health 2006;29:556-565. Williams BA, Sudore RL, Greifinger R, Morrison RS. Balancing punishment and compassion for seriously ill prisoners. Ann Intern Med. 2011 19;155(2):122-6. Pollock, Jocelyn. Prisons Today and Tomorrow, Second Edition. Burlington: Jones and Bartlett Learning, 2005. California Department of Corrections and Rehabilitation. Inmates Sentenced Under the Three Strikes Law and a Small Number of Inmates Receiving Specialty Health Care Represent Significant Costs (Report 2009-107.2). Sacramento, CA: Bureau of State Audits, California State Auditor, 2010.